In her one-woman cabaret, Maria Kesselman firmly proves herself to be a force to be reckoned with. A truly seasoned professional, she seamlessly blends an impressive voice and near-perfect technique with an ability to make each and every audience member feel as though they have known her for years. In her own words, the set is a "celebration of the merry-go-round of life, love and laughter." It is this mix that forms the foundations of a remarkable show, and the convincing and deeply passionate delivery of each and every song that cements this. It's a dizzying programme and there is never a moment where the audience feels distracted or even bored. There simply isn't the opportunity. 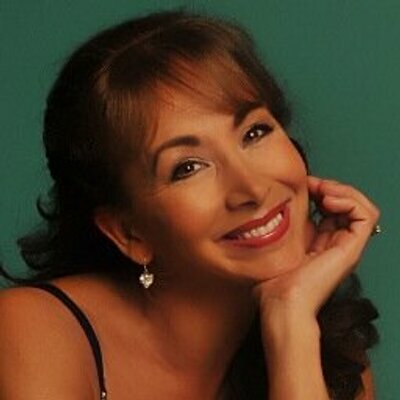 While classic songwriters such as Gershwin, Sondheim and Porter and universally-loved pieces such as Fly Me To The Moon and La Vie En Rose are featured (and delivered incredibly well), Maria's vast love and knowledge of music enables her to select songs that the audience may never have heard before, but that they love almost immediately. That in itself is an incredible gift. The show provides the perfect platform from which Maria's love for music and dance - which she alludes to throughout the evening - can shine through. That she is so comfortable on the stage (she has played Christine opposite Michael Crawford's Phantom) and clearly enjoys herself immensely, is contagious and the audience warms to her even more as a result. Accompanying her on the piano, James Church is equally impressive, and as Maria's "partner-in-crime," he does a sterling job - flying with ease through a challenging repertoire of classics and lesser known ditties, from the sombre to the upbeat and back again. The most memorable moments are arguably those of poignancy. In the first half particularly, Maria peppers the show with autobiographical recollections, covering areas such as the passing of both of her parents within four months of each other, and the origins of her life-long love affair with dogs, attributed to when she occasionally shared a cot with a pet poodle. And when Kesselman sings about love – covering themes that we've all heard a thousand times before – the result is so powerful that it makes the concept itself seem completely new. Playing the Crazy Coqs for one night only, hopefully she’ll soon be back for more.